System integration allows business to function more smoothly, by facilitating the exchange of information among enterprise applications or connecting to hardware devices that allow firms to get a step ahead of the competition. 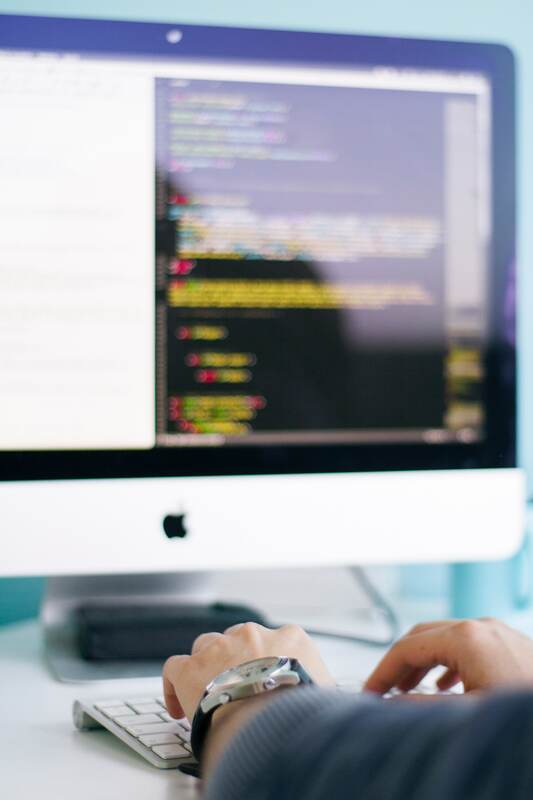 As more businesses use custom software development services to strengthen their competitive advantages, the more valuable it becomes for software designers to integrate their systems. This leaves standalone systems at a disadvantage and gives those with integrated systems a platform that best fits their organization. There are plenty of advantages to converting to an integrated system now, but there are even more reasons integrating your system can help you prepare for the future, particularly future software. An integrated system makes it easier to adapt to new software, particularly cloud computing products that include API’s (Application Programming Interfaces) that are designed to connect with custom applications. Rather than forcing users to log out and log into separate applications, a well-executed integration model appears to users that they are using a single system. This also limits potential system issues. After all, it’s easy to troubleshoot minor problems when you know which system is causing them. New software changes are also increasing in tempo. An integrated system’s flexibility can keep up with these changes. However, a system without integration would only grow more cluttered. Regardless of your system’s design, an integrated system always has room for new software. Any integrated system worth its salt can easily accommodate these changes with minimal frustration on the part of IT. This allows your system to grow and change with your business. Without this key feature, system integration would be an unreasonable investment. After all, what kind of business has time to stop and restructure its entire software system every two or three years? Some of the best ideas hitting the software market are created for front of house systems. These systems are designed to improve customers’ experiences while cutting back on overhead and boosting sales. An excellent example is the digital shelf tag that displays an item’s current price. An integrated system allows the hardware on the shelf to communicate with the rest of your business system. This tag can tell when an item is on sale and update the price accordingly. When the sale ends, the tag automatically adjusts the price. This prevents mislabeling that costs businesses both money and professional pride. Without system integration, however, a digital shelf tag is a flashy but essentially useless tool. Reprogramming each tag individually would be more time consuming than sending employees through the store with stickers, and such a system would be equally vulnerable to human error. Only a wireless link to an integrated system makes this futuristic price tag worth investing in. System integration is a wonderful way to free your IT department to work on developing new and better ways to run your business software. Rather than putting out fires across your many systems and answering interdepartmental queries, IT is free to advance your company. It’s the difference between having crew members who are focused on day-to-day operations, versus evaluation of technical alternatives for future applications that can yield increased customer retention or growth. That free time allows IT departments to do more than keep pace with current software trends. As they tailor your integrated system to function at maximum capacity, your IT workers can also keep an eye on the horizon for up and coming software trends. Your IT department may be among the first to know about rising software companies with innovative mobile application development services. Since your IT department already knows your legacy systems so well, they can quickly determine what new software characteristics are the best fit for your business. They can actively seek improvements and lead initiatives rather than patch up your system. Integrating your system is taking a step into the future of software. It prepares you for not only the latest software, but the latest hardware as well. Think of how frustrating it is to have a business that operates on hardware with embedded software – each revision to the chip-set may require code updates. By integrating hardware to software, i.e. the Internet of Things Today’s technology is tailored for wireless internet, and without it, customers quickly become frustrated. Soon, the majority of software for businesses will be tailored to integrated systems and custom software development. Eventually, the hardware will follow suit. By that time, however, businesses that have not integrated their systems will be busy playing catch up. Making such a dramatic change in your business systems may seem overwhelming and ill advised, but custom software development one of the best investments available today. System integration solves current issues, like wasted labor, incorrectly copied information, and inaccurate stock numbers, and simultaneously prepares businesses for the future. It eases the addition of new software and ensures a business system can keep up as it grows. It also prepares businesses for intuitive hardware and software applications while freeing IT workers who can dedicate more time to building new systems. There are any number of reasons to pursue system integration. It’s simply a matter of finding the right custom software development services to suit your needs.